Our future leaders need to be equipped with the tools to face the challenges of the future, and a robust language policy can help achieve this, ACT Shadow Minister for Education Elizabeth Lee says. A Canberra Liberals Government will deliver a world-class language education system in ACT schools to prepare our next generation for a global future. We have a strong multicultural community; rich with lingual diversity from all around the world. With Canberra at the forefront, Australia is growing in geostrategic significance, rapidly increasing its presence in the region and further afield. Canberra should be leading the nation when it comes to equipping the next generation with the skills they need to be involved, upstanding and competitive participants in the international arena. Unfortunately, this ACT Labor-Greens Government, in its lack of priority and action on language education, is letting down our future generation. The ACT Government’s Future of Education Strategy which the Education Minister announced with great fanfare last year – meant to be the blueprint for education in the ACT for the next 10 years – does not include a single mention of the importance of language education in the ACT. And even in the Minister’s update to the Assembly last month on a plan for language education, we still got nothing – more buzzwords and rhetoric with a waffly promise of ‘we are reviewing it’. No plan; no action. The ACT Government claims that it apparently has ‘pathways’ for language education in ACT schools, but these ‘pathways’ are deeply fractured, making it next to impossible for students to become proficient in a second language. Language education, especially in the early years, is important because it is not just about learning another language; it is about the enormous benefit it brings to students in other areas of learning. It is more than an academic skill; it is a life skill. This week, the Canberra Liberals announced six initiatives to strengthen and promote language education in the ACT. Our six initiatives will go a long way to ensure that our children are equipped with the skills they need to be competitive in a global future. First, we will undertake a comprehensive audit of existing language programs in ACT schools. We will assess the languages being taught, what languages are in demand and what talent we have in our local language teacher pool. Surprisingly, the government does not keep a central record of data on this type of information. A comprehensive stocktake will expose the gaps so we can fill them. Second, we will take a strategic approach to determining priority languages for ACT schools. For too long, it has been a case of ‘we’ll take what we can get’ because of a lack of qualified language teachers. We need to be proactive and take a global view of what languages will best prepare our children for their future. For example, Chinese and Indian languages are offered at very few government schools, despite their international significance and the large, vibrant and dynamic communities we have here in the ACT. Not a single government school teaches Arabic despite it being the third most commonly spoken language in Australia, and its increasing demand and significance globally. Third, we will create a consistent and open pathway so that students can choose one language and learn it from Kindergarten all the way through to Year 12 and beyond. Currently, clear and consistent pathways do not exist. For example, Korean is taught in Year 3 at one Gungahlin school and then does not appear again in the government school system until College. This interrupted program of language learning seen across the school system robs students of a genuine opportunity to become proficient in a second language. Fourth, we will value and invest in language teacher training through scholarships, exchange programs and travel bursaries. We will address the shortfall of language teachers by investing in teachers to both upskill our existing teacher force and to attract more qualified language teachers to the ACT. Fifth, we will develop strategic and mutually beneficial partnerships with Embassies, language teaching groups, academics and community language schools. We have a world of resources and expertise right here in our city and we should make the most of it for the future of Canberra students. Finally, to be the best we need to compete with the best. We will set a benchmark and measure our language education success against the best performers in Australia and the rest of the world. The world that the next generation of graduates will enter will be vastly different to the one that we or our parents entered. We are connected in a way that we have never been before and we need to equip our next generation with the skills to work, grow and live in a global world. The Canberra Liberals are excited to announce this plan that will better prepare our future generation – our future leaders – for a global world. If you are interested in hearing more or have feedback for us, I would love to hear from you: lee@parliament.act.gov.au or 02 6205 1919. 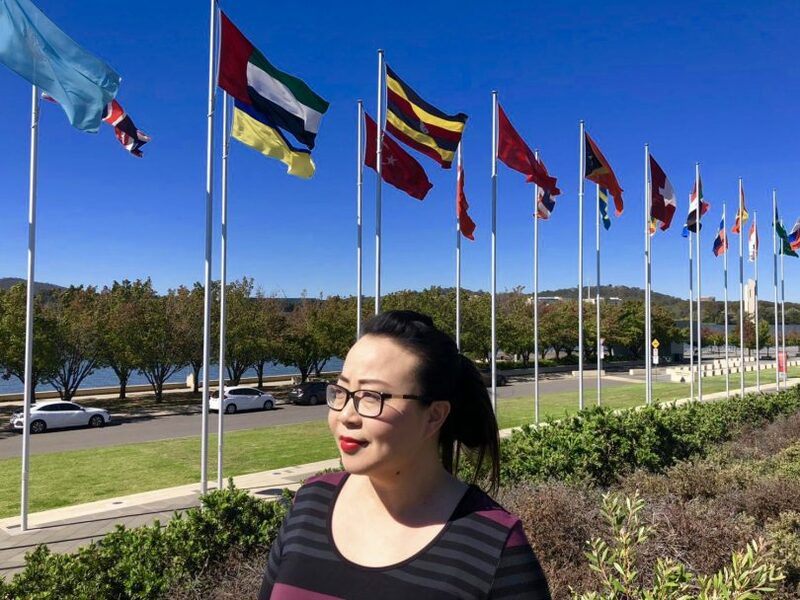 Elizabeth Lee is the Shadow Minister for Education and an MLA for Kurrajong in the ACT Legislative Assembly. So they can speak to the neighbours? People will tell if that is a nigh or wong policy in the coming election.